Hope is a belief that everything will turn out great. It helps one to rise above the challenges in one's way to go create that reality one so much desires. It encourages one to keep putting in one's best and know that a much greater reward will come. Hope is that mental bridge between one's dreams and one's current state. It fills one with the determination to go after one's dream and the resilience to weather any unpleasant situation that confronts one in the course of going after one's dreams. In all, hope is what makes any journey interesting. 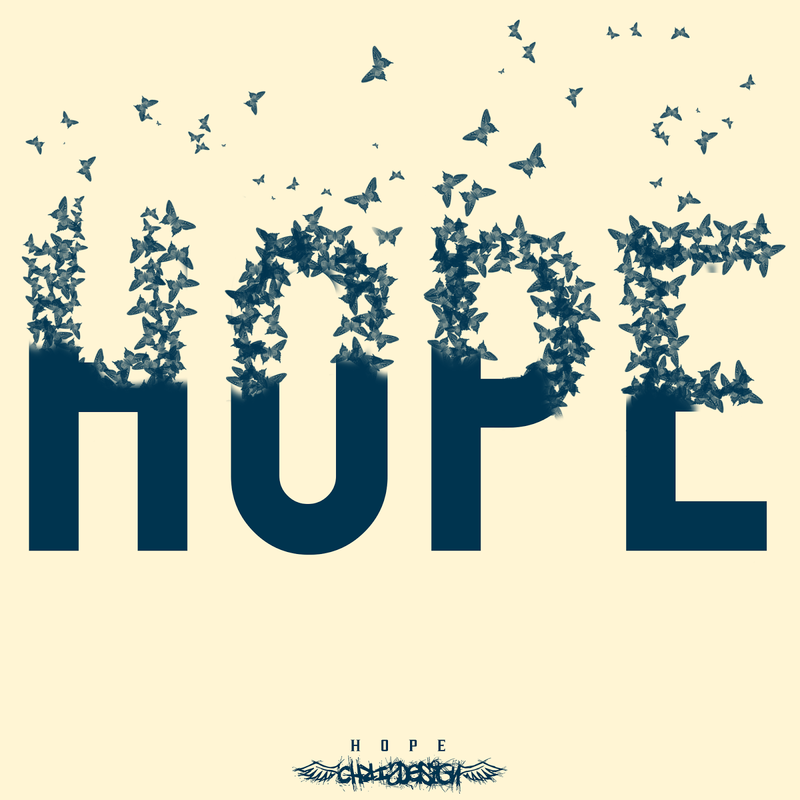 I see 2015 as my year of hope. That every big decision I made this year and the new direction I have taken for my life this year will lead to something very great next year. That as I keep surviving one challenge after another, my dreams will soon embrace reality; welcomed by reality. That everyday with every step I take, I am moving closer to the end of my dream tunnel. That 2015 is going to a very active and interesting year for me. This year I had just one new year resolution: To live a more focused life. And I achieved it. My 2015 new year resolution will be to achieve fluency in reading French. Yesterday, I did some thinking about why I have not achieved any significant success in my learning of French for the past five years. I have learned harder stuffs with much less effort and resources within those five years. I find it extremely tough to practice French for 30 mins daily despite buying lots of books, audio programs and Rosetta Stone software. Yet I conveniently spend over 2 hours daily writing a blog post. On the surface, it's like I find the harder task easier to do. I have a beautiful native speaker who volunteered to help me become fluent for free. And she even put in more effort to get me practicing than I do. Somehow, all the recommended ways of learning French aren't working for me because there is this inexplicable internal resistance I have to doing them. I have gone to neighbouring Benin Republic and Togo to practice and nothing to show for it. I still avoid calling the wonderful friends I made there. So after doing some deep thinking I figured out that I have do build on my strengths and take my path of less resistance. As a child I read books I didn't understand. It took me 3 years of reading one of Shakespeare's book before finally understood the plot. I never check for meaning of words I don't understand (which could be up to half of all the words in the book). I do quantity over quality. It was the way I built my fluency in English. My written English has always been better than my spoken English. And even though I have been a member of a public speaking training organization for 3 years now, I still prefer writing to speaking. So I am deciding to take that natural approach to my learning French. I will simply read the French books I bought (and I have lots of them already). I will also force myself to do the Rosetta French course as I paid a fairly huge sum for it. I will take the same approach I used as a child in learning English. I won't bother so much about my French speaking skill. My original aim of learning French was to be able to write beautiful poems and articles in French. It is the reading and writing fluency I need. And I'm better off going straight for it rather than killing myself with the conventional learning methods focused more speaking fluency. It might look strange that my resolution for the entire 365 days of year 2015 is to read French. Well, that's the way I do new year resolutions. I am yet to fail at my new year resolutions since 2005. I pick what is bothering me the most and I make a new year resolution out of it. It's usually one thing. There will always be a next year for any other thing I terribly want to fix. I never overload a new year with too many new year resolutions. So in line with my 2015 theme, I am hoping I will become fluent reading French by December 31, 2015. And I am hoping all my eggs hatch in 2015, all my efforts turn out great results and my business moves close to what I have always imagined it would become. It's one more day to the new year. How are you preparing for the coming year?